I’m pausing from my usual writing to share my recommendations for books by authors I know and love. Click on the high-lighted title for details and ordering information. If you read this soon after I publish it, there is still time to order them for Christmas. 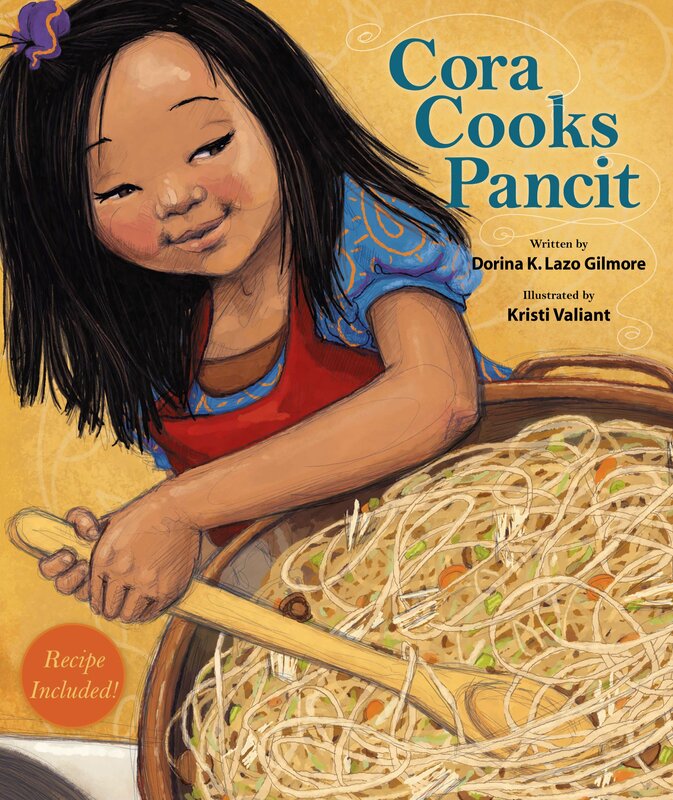 For the youngsters on your list, and in support of this young mother, recently widowed, with three little girls, I highly recommend Dorina Lazo Gilmore’s award winning picture book, Cora Cooks Pancit. 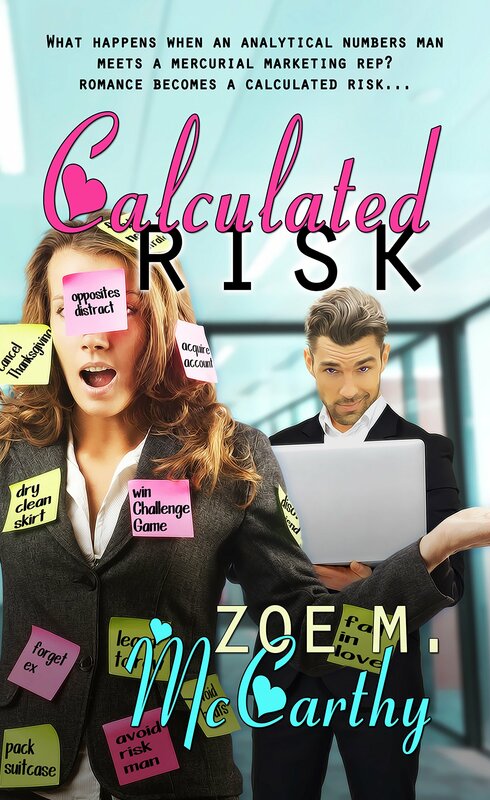 For any woman ready for a good laugh and a well told story, I encourage you to get a copy of newly released Calculated Risk, a contemporary romance by Zoe M McCarthy. Calculated Risk will have you smiling and chuckling through this heart warming story. If you are shopping for a teenage girl, I strongly recommend Like Moonlight at Low Tide: Sometimes the Current Is the Only Thing that Saves You (Young Adult Carol Award winner) by Nicole Quigley. 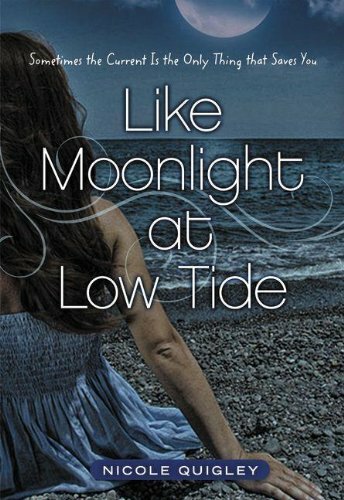 Set on Anna Maria Island, in Like Moonlight at Low Tide Nicole uncovers the challenges and very real threats of high school social life, and offers understanding and hope. The writing is refreshing, dialogue realistic, and the plot is well-developed. It is so on target that it took me, sometimes unwillingly, back to my high school years. 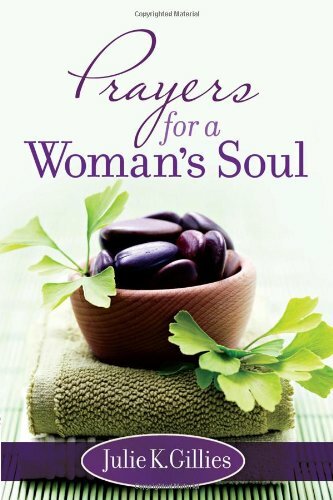 Julie K. Gillies pours out pages of daily refreshment in her lovely devotional, Prayers For a Woman’s Soul. After last week’s post on my role as a peacemaker, some who have known me a long time objected. My oldest daughter said I truly had brought peace to many difficult situations, and rather than a doormat, I was creative, loving, and inspiring. And she believes my grandchildren enjoy being with me because they feel safe and peaceful with me. As I pondered this, I realized that my bent toward peace really is a God-given desire, my heart’s passion, and part of my hard wiring. The problems arose when my hard-wiring was hijacked. 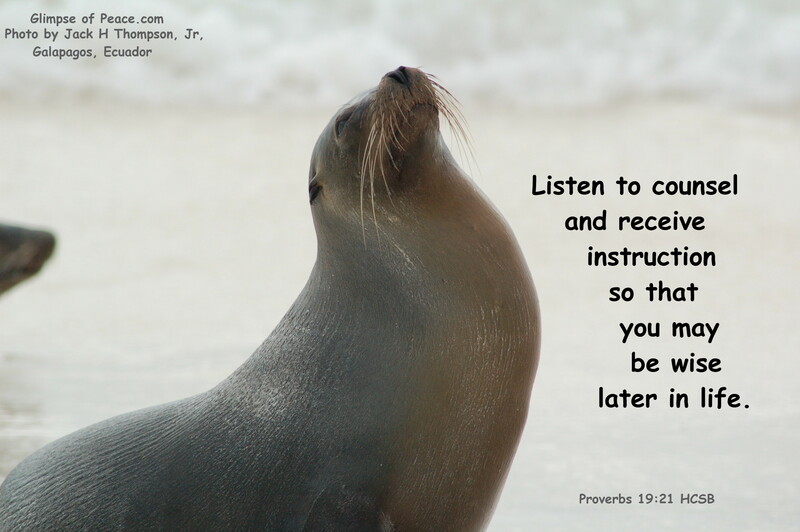 The great masquerader is always on the prowl, working to swerve us off any course toward God, or the life we were created to live. Isn’t it far easier to steer a moving car than to stop one, or to simply shift our direction or focus, than to change our views entirely? Thus, the introvert experiences unsafe situations and becomes excessively shy, while an extrovert is snubbed or left out, and develops a tendency to overly boisterous, perhaps even obnoxious behavior. With the combination of my personality and life experiences, my responses to life situations often have not been God’s best for me. Fear has boxed me in and restricted my life. After I visited my dream college, I turned down a scholarship when realized I’d be moving into a building full of complete strangers. Instead, I stayed at home and went to the local university. (I was forced to handle college dorm life when my family moved away in the middle of my freshmen year and left me behind. I loved it.) Even though I had dedicated myself to be a missionary when I was ten, when I reached career decision time in college I was too afraid to go into a foreign country and speak to strange people. After all, the family joke for years had been that I couldn’t even ask where the bread was in the grocery store! And when I was offered a summer job in Paris through my French teacher, a slight objection from my mother was all it took for me to agree with my fear, and pass on that once-in-a-lifetime opportunity. Even after I was married and had two children, I still wouldn’t ask for something in the grocery store. I only used the drive-in window at the bank. It would take me two weeks to gather the courage to take a pair of pants to the dry cleaners. Happily, that was “the old me.” I’m still an introvert, but fear is only an occasional wrestling match, rather than a constant companion. Since I don’t recall a time in my life when I wasn’t aware of God, what hijacked my life? Why did it take me so long to start living? I tossed all of this around until Saturday night, when I listened to a well-known parable, the one about the three employees whose boss was leaving for a trip and gave them various sums to manage in his absence. The one who had been given the most invested shrewdly, and doubled his boss’s money, and when at last his boss returned, received praise and even more responsibility. The second worker, who had received a little less had also invested and doubled his investment. The boss praised him as well. But the third man, who had only received a little, said he knew his boss didn’t work or earn anything, and since he was afraid of his boss, he had buried the money so it wouldn’t get lost or stolen. He produced the original sum, evidentially satisfied that he’d played it safe. But his boss was furious, took the money from him, and gave it to the one who had the most. I’ve always puzzled over this story. It never seemed fair. 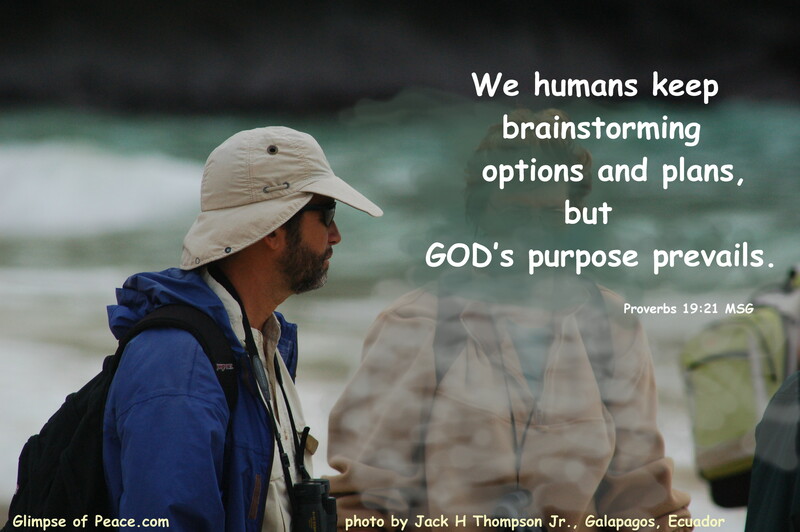 After all, Jesus was telling stories to explain God’s view of our human lives. How does this sync with: “Come to me all who are heavy laden and I will give you rest”? Doesn’t this sound more like the great watch maker, winding us up and setting us into play? Like the boss going off on a trip, God stands back, arms crossed, frowning, and watches us mess up? Like the child who wonders where God is while she is being abused? The woman who loses pregnancy after pregnancy, or who fails to conceive after a lifetime of only wanting to be a mother? The wife with young children watching her husband and soul mate die of an aggressive cancer? The businessman who follows God’s ways and takes huge financial loses, while unscrupulous men grow wealthy? Or thousands lose their loved ones when obsessed men fly jets into buildings? Doesn’t the third worker’s view make sense? This week, I connected the dots. I remember on September 11th, when I had thought for several hours that my daughter was on the second jet that I had watched on TV as plowed through the World Trade Towers. 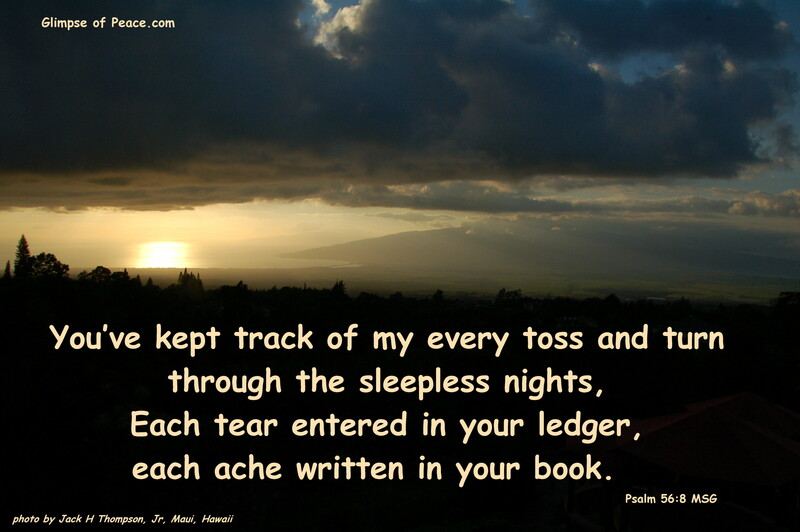 At the end of the day, I prayed through my tears. “God, where were you when all those people suffered and died?” I “saw” a picture in my mind that I believe came from him. It was Jesus, on the cross in front of the buildings, his body completely covering them. The jets ripped through his body first. He was saying, “I was there. I felt every pain.” That is the point of Immanuel, God in human form. God with us. He doesn’t leave us alone to struggle or grieve. He said not one little bird falls or wild flower dies that he doesn’t know about. He counts every hair on our heads. He knows. He cares. He hasn’t left us alone on this journey. So the issue with the three workers wasn’t about how much anyone started or ended up with. The third worker wouldn’t believe his employer would be there for him. Instead, he lived in fear of him. That was me! I had talked about God, worshipped Him, studied and memorized my Bible, even served as a missionary (finally), but until this decade of my life, was often paralyzed by fear. Wasn’t I like that third man, not trusting God to be there for me? Thinking I have to talk to that intimidating person, or make that phone call, or go to that place full of strangers on my own? The pieces slid into place. The story isn’t about what we receive. It’s about who or what we trust to keep us safe, or give our lives meaning. 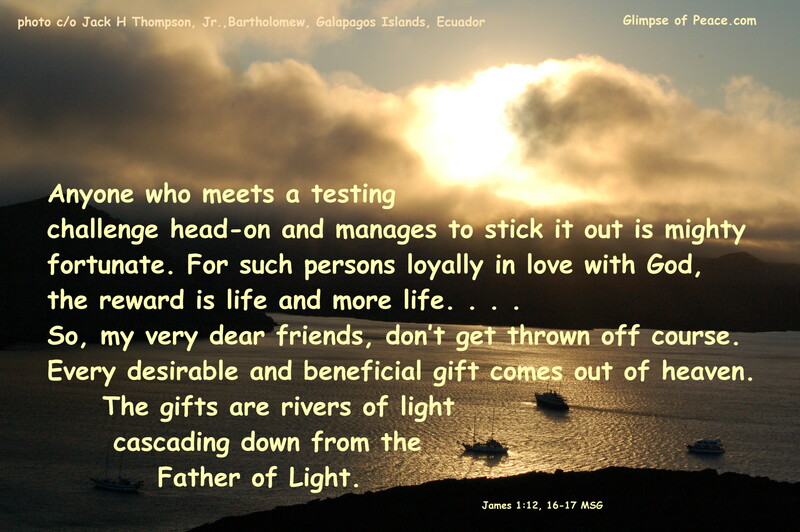 It has only been since I have been able to open up and deeply receive God’s love into the core of my being, since I have released my old waiting-for-the-hand-to-hurt-me view of God that carried over from my father, that I have been able to really trust God. And trusting is more important than doing. Since I know the Prince of Peace will never leave me alone, will always give me the help I need when I need it in order to carry out his will, I am at peace. I am smiling as I say that I truly am called to be a peacemaker. I can bring that as a gift to others – with a full heart – for the love I have received. Even if it is just a glimpse of peace. What is the passion of your heart?